As Mother’s Day approaches, I want to recognize and honor all of our amazing mothers, drawing particular attention to our mothers who are currently or formerly incarcerated. Since 1986, there has been a 400% increase in the rate of incarceration for women, and a 800% for black women. 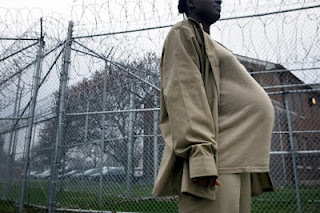 As I discussed in a previous blog, “Mothers Sentenced to Lose their Children,” our socialized perceptions of individuals in prison or who have gone to prison often overshadow the strength and commitment to parenting that these mothers exhibit in spite of the numerous odds stacked against them. Through my work with the King County Parents Advisory Committee, I get to work under the leadership of many formerly incarcerated parents who have successfully reunited with their children after navigating the complex web created by the intersection of our child welfare and criminal justice systems. The mothers I work with, called “Veteran Parents,” have used their experience to guarantee parents in these systems have the support necessary to reduce their chances of family separation. This year, their personal accounts and hard work lead to the passage of SB 6555, a bill that will allow the state to redirect resources and support vulnerable families early on and prevent their chances of ever entering the child welfare system. This Sunday as some of us prepare to make phone calls to our mothers and/or children across state, or across many states, I ask us to take note of the many incarcerated mothers for whom phone calls are not available. Although it is recognized that phone calls are important to maintaining family contacts, calls are limited to 20 minutes and are financially impossible for most women. One 20 minute phone may cost up to $48.25: a $25 minimum to set up an account, a $3.50 connection fee for out-of-state calls, a 50 cent fee for each additional minute, and a $7.95 transaction and convenience fee each time funds are added. Collect calls cannot be made without a $25 minimum. This is extremely difficult when we consider that the pay for work in prisons ranges from 25 to 50 cents per hour. This Sunday as some of us prepare for brunch or dinner with our mothers and/or children, I ask us to take note that as a 2000 Bureau of Justice statistics report found, 54% of mothers in state prison have never been visited by their children due to challenges created by distance, travel time, and expense. The Veteran Parents I work with defied all odds to keep their children, including surmounting stringent child welfare law requirements that intersected with their time in prison and threatened the security of their families. In Washington, parents have 12 months to prove they have overcome parental deficiencies before their rights may be terminated. However, it should not be and does not need to be this way. 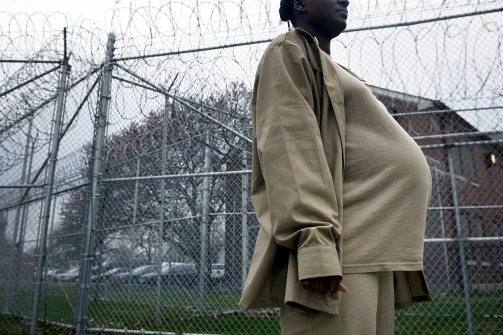 In 2010, New York made changes necessary to give parents who face incarceration a fair chance. The laws allow foster care agencies discretion to delay filing papers to terminate parental rights when parents in prison or in substance abuse treatment programs are maintaining a significant role in their child’s life. This is not meant to ignore that a parental situation needs to improve, but to recognize that many so-called “deficiencies” are wrapped up in poverty and lack of access to resources that make it difficult for even the most diligent parents to show responsible parenting. As reproductive justice activists we are reminded that choice also includes the opportunity to parent our children with dignity, free from discrimination, coercion, or violence. The distance created by our prisons and our current policies often leads to the permanent loss of parental rights. This separation flies in the face of studies that show maintaining family ties during incarceration improves the lives of family. These ties help children process their parent’s absence, it increases chances of family reunification, it reinforces children’s well-being and development and also reduces the chances that the mother will return to prison. As Mother’s Day nears, I hope we as reproductive justice advocates contemplate how we can ensure mothers are not unnecessarily separated from their children, and help make reproductive justice a reality for all women.